Papergreat: "Master Blaster plans to use them as his musical slaves ... forever"
"Master Blaster plans to use them as his musical slaves ... forever"
METEORIC SUCCESS — NBC-TV's "Kidd Video" is the number three-rated Saturday morning show (11-11:30 a.m. NYT), and the highest-rated new Saturday a.m. series this year (its season-to-date average, as of Dec. 8, 1984, is a 6.9 rating/24 share, according to Nielsen Television Index). The series is a live and animated intergalactic adventure program with music videos starring Kidd (Bryan Scott, left)1 and Ash (Steve Alterman). With "Kidd Video," NBC's Saturday morning schedule, which premiered Sept. 15, leads in the ratings with NBC's "Alvin & the Chipmunks" being number 1, and NBC's "Smurfs," number 2. "The title sequence explained the plot; Kidd Video and his band of the same name (played by live-action performers in the first half of the title sequence) were practicing in a storage unit when an animated villain named Master Blaster appeared, and transported them to Master Blaster's home dimension, a cartoon world called The Flipside. Master Blaster2 plans to use them as his musical slaves ... forever. They were rescued by a fairy named Glitter, and subsequently spent each episode of the series either helping to free the denizens of the Flipside from Master Blaster's rule, or trying to find a way back to the 'real world'." The show tried to cater to 1980s kids by offering music videos, breakdancing, skateboarding and videogames. But, despite this seemingly foolproof strategy and ebullient press release, the Flipside magic didn't last. There were just two seasons and 26 episodes of Kidd Video. 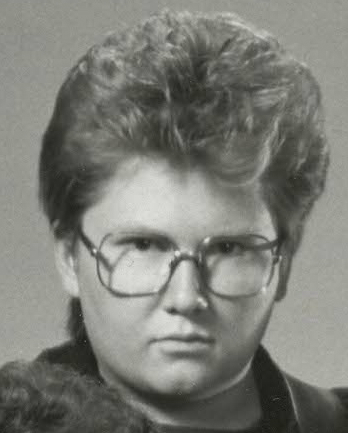 And, yes, that's Robbie Rist — Cousin Oliver from The Brady Bunch — as one of the band members. Some things, perhaps, are best forgotten. Although, little surprise, the show has its own fan website. 1. Bryan Scott went on to play "Party Guest" in Some Kind of Wonderful and "Additional Voices" in Ghost Dad. 2. 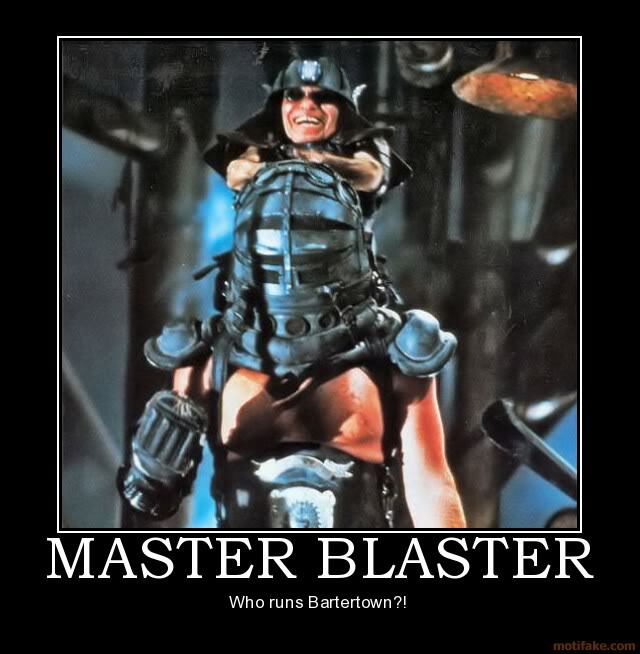 Not this Master Blaster.